The Kardashian Christmas card features the grandkids. The Kardashian Kristmas kard is here, with no Kim K in sight. The Kardashian Kristmas kard has arrived, and in classic Kardashian style it’s unique, but in unlikely Kardashian style, there are no Kardashians posing in it. 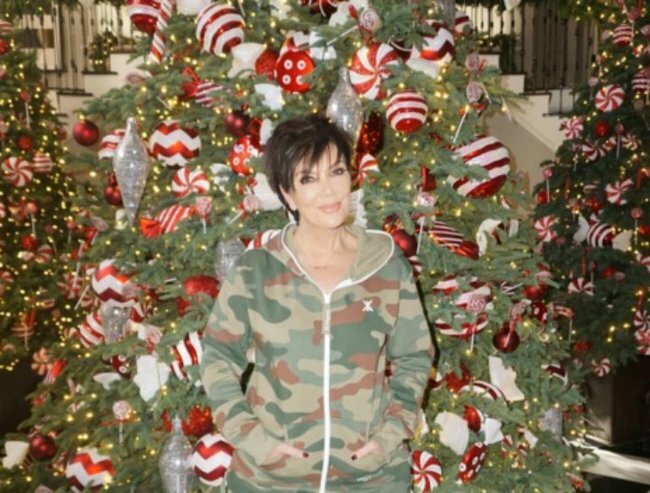 No Kim, Khloe, Kylie, Kris or Kendall are on this year’s family Kristmas card. Instead it’s all about the kids, and it’s very kute. Very fashun too. Image via @kimkardashian Instagram. A Kimye fan account debuted the card on Wednesday, but now it&apos;s getting shared all over the internet. And this year there&apos;s a few twists - it only features the grandchildren from the Kardashian/Jenner clan, with the kids all dressed in very fashun-able black attire. North West, Penelope, Mason and Reign Disick are the stars on the family&apos;s Christmas card this year and they&apos;re adorable. "This year, especially the last couple months, was so hectic that it was hard to arrange a full family shoot. Showing the kids alone seemed like the perfect thing to do," a source told E! News. We didn&apos;t get a Kardashian kard last year because apparently the famous family ran out of time to get one out. We&apos;re glad we got this extremely cute card to make up for it in 2015. Merry Christmas to the Kardashians and to all of you. What does your Christmas card look like?